In the Ottawa area there are two main sources for advertising flyers. Metroland's community newspapers and Postmedia's Flyer Force. Both are supposed to deliver their flyers on Thursdays. My wife likes to dig through the flyers to take advantage of the deals for her weekly shopping list and meal planning for the next week. Metroland's newspapers in the Ottawa area are sister papers to those found in the Toronto area including The Liberal in Richmond Hill as well as having the same parent company as the Toronto Star. Since starting distribution to my home at the beginning of January 2013, the Metroland Newspaper in my area, Ottawa South News, has been delivered weekly on Thursdays. At first it was hit and miss as I guess the local delivery was being established. There have been a couple of occasions when we received the newspaper late on Friday or even Saturday. But this newspaper currently really only has the M&M Meat Shops and Freshco flyers that are worthwhile. The others usually are the one offs here and there. So we are not usually too worried if this particular paper arrives on time. Since the beginning of January, Metroland's Ottawa South News has been delivered either Wednesday evening or sometime on Thursday in a prompt fashion, dry and secured in my mailbox. The carrier might even be a Canada Post employee doing extra deliveries as they have a Canada Post emblazoned bag while doing the paper route. Right on time and dry, what more could advertisers' ask for? Postmedia's Flyer Force is supposed to deliver a package of flyers to residential doorsteps between on Thursdays between 6 A.M. and 7 P.M. according to Flyer Force's website for the Ottawa area. Since moving into my home in October 2012, I doubt this target for delivery has been achieved. Most of the flyer packages, if delivered at all, are delivered either after 10 P.M. on Thursday or even Friday evening or early Saturday morning. With the bulk of the major flyers being delivered by Postmedia's Flyer Force in the Ottawa area, advertisers are getting ripped off. A case in point is delivery of the flyers since late December 2013 until now. Just before Christmas delivery of the flyers stopped. Nothing for two weeks, not even the Boxing Day flyers were delivered to our address. Don't tell me brands like Wal-Martt, Future Shop, Target, Best Buy and others do not have Boxing Day flyers! January rolled around and this non-delivery continued. My wife was puzzled and frustrated as she didn't have the flyers to go through to figure out what was on special at the various grocery store flyers. We did some online digging and called Ottawa's Flyer Force to investigate on Friday January 10th after nothing arrived. My wife left a voicemail and received a phone call from Sal who said they would have someone drop off a new set and it happened by 2 P.M. on the Friday. A week later on January 17th, nothing was delivered, my wife called again and Sal had someone drop it off. Wash, rinse repeat for the January 24th. January 31st, I spoke with Sal after yet again nothing arrived on our doorstep. Sal inquired about the history of receiving our flyers. I ran through that the flyers were usually delivered late on Thursdays, Fridays or even arriving late Saturday afternoon. There was really no rhyme or reason to the delivery. I even asked Sal if perhaps the number of addresses being delivered to by the carrier might be an issue and the carrier was trying their best. Sal declined this option saying the lady needed the position. I tried to inquire with Sal what the issue was, but he declined to comment. It should be noted that my street during the entire month of January has virtually had no delivery of Wal-Mart, Home Depot, Future Shop, Food Basics, and Sears flyers because Postmedia's Flyer Force can't deliver. Only after taking our calls did Sal have flyers delivered to our street. But mysteriously only my next door neighbour and I received copies. Across the street? I checked 5 houses across the street each time and mysteriously nothing was on their doorsteps. Seems like Sal's supervisor of carriers is trying to pull a fast one on us by trying to make it look like the flyers were delivered late. Nice try, but quite frankly only delivering to two addresses on the street late after a phone call doesn't cut it. Last night, Thursday, at 8 P.M. we received our flyers. I peaked out to see lady pulling a grocery buggy down the street with the packs of flyers. She would pull up to the end of a driveway, roll the flyers up, elastic them and fire them to the door step. She did one side of the street and 30 minutes later, did the other. She made quick work of the street. I'm not sure if this is the old carrier who finally found nice weather to deliver her flyers in or a newly recruited carrier. Either way, the flyers were still delivered later than the advertised 7 P.M. 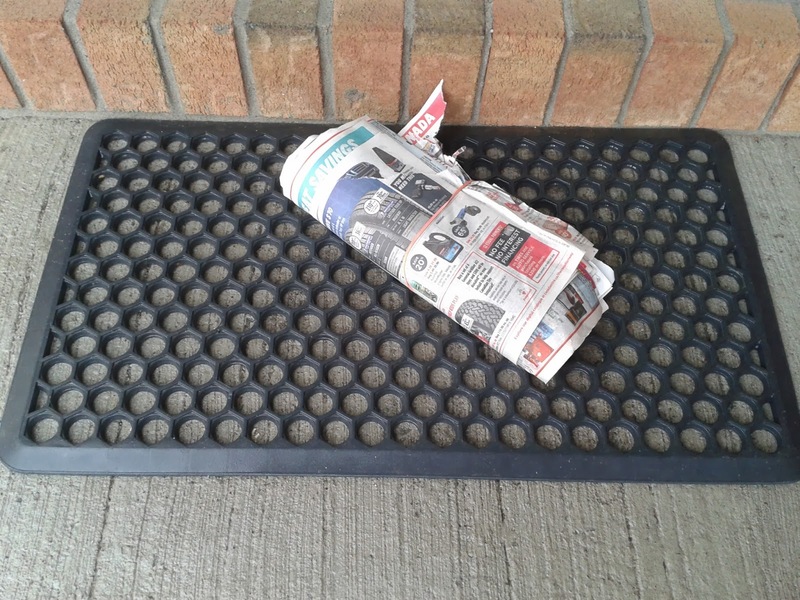 Since moving into our house, Postmedia's Flyer Force has failed to deliver the product on time or even at all. It is a wonder how the advertising departments of the major retail chains put up with such shoddy service. Hopefully Postmedia can pull up their socks in the delivery department because it is awfully hard for readers to enjoy Postmedia's product if they can not receive it. Great article. Was looking for company to deliver our door hangers. Thank you for the heads up.